I absolutely LOVE this, Becky. 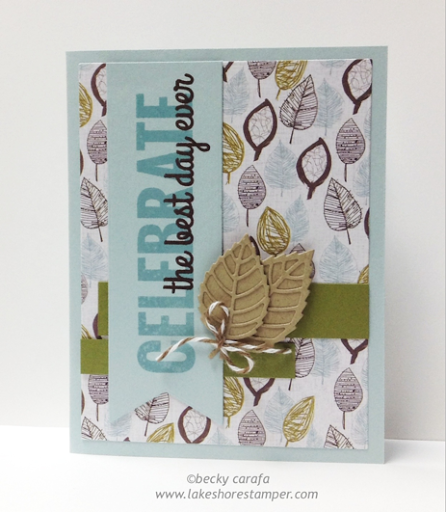 The leaves are awesome, and the color scheme works so well with them. It would be a blessing to have you stop by some time to play along in our challenges. I just LOVE your sweet cards.